Home / World News / Why Live in Seattle? 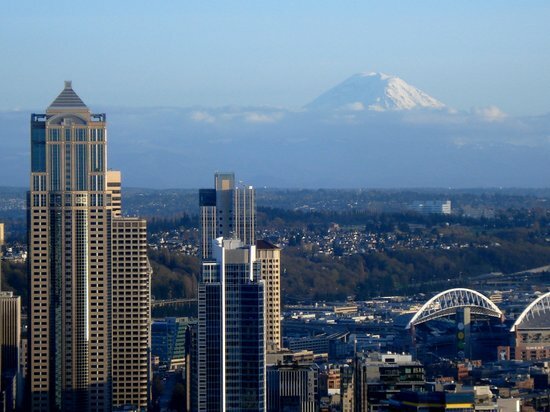 Few places in America are growing as fast as the Seattle area, and it’s not hard to see why. The Pacific Northwest is full of natural wonders, and Seattle offers the comfortable lifestyle of a medium-sized city with big-city attractions and cultural landmarks that reflect its position as the most important city in the region. If you’re thinking of to going house-hunting in the Seattle suburbs or looking at Seattle condos or apartments, read on as we explore all the reasons that Seattle has become such a popular place. Many great American states have both huge cities and natural wonders. But in most cases, citizens of those states aren’t lucky enough to have the two things near each other – it’s a good five-hour drive from New York City to the Adirondacks, for instance, and Phoenix is nowhere near the Grand Canyon. On the West Coast, things are different – and Washington state is a prime example. Seattle is literally surrounded by National Forests and National Parks, and all of them are a short drive away. There’s Olympic National Park and Olympic National Forest on the Olympic Peninsula to the west, Mount Ranier National Park to the Southeast, two national parks to the east, and North Cascades National Park to the northeast. The vast majority of Washington state’s natural wonders and the vast majority of its population are both found in the western half of the state, making the situation very different from that of many northeastern states, in which high populations and untamed wilderness often seem to end up on opposite sides of the state. This proximity to natural wonders makes Seattle one of the nation’s best cities for outdoor enthusiasts. People around here love to hike, camp, rock climb, mountain bike, and do other things outdoors. Outdoor sports that are popular elsewhere are a way of life here, and sports that are niche activities elsewhere have large followings. It seems that nearly everyone has an outdoor passion, and it’s easy for newcomers to pick up the habit. Seattle is the home of REI, perhaps the best outdoor equipment retailer in the world; it’s near National Parks, which offer information about and opportunities for hiking and camping trips; and there are plenty to places to turn for lessons and instruction. And physical activities aren’t the only choice for outdoor fun. Seattle isn’t exactly a sunny beach town, but it is absolutely a place with a love for the water. It’s not uncommon to own a boat (if you’re worried about the price, consider looking for used boats for sale) for use in the Puget Sound or other nearby bodies of water. If you don’t have one yourself, there are plenty of tours to hop on – ferries to nearby parks, whale-watching tours, and even cruise ships to Canada and Alaska. It’s easy to escape to nature in Seattle, but you won’t always want to. There is tons to do in Seattle itself. Seattle is the Pacific Northwest’s cultural center, and this is particularly clear when it comes to concerts, museums, and other staples of high culture. Seattle has a bit more competition when it comes to modern pop culture, thanks to the rise of Oregon to the south. But the Pacific Northwest’s primary city more than holds its own, with breweries, concert venues, and restaurants that can hold their own against those in any other city in the country. Seattle also two major sports teams, more than any other city for hundreds and hundreds of miles. The Seattle Seahawks play in the NFL, and the Seattle Mariners are the city’s baseball team While Seattle doesn’t currently have an NBA or NHL team, the city is a perennial favorite in league expansion and team relocation discussions. If you move to Seattle, don’t be surprised if a basketball or hockey team follows you! Just like you, they can see that Seattle has a lot to offer. Next What are Frequent Causes of Work Accidents?